Australians bought 113,289 new motorcycles, ATVs and scooters in 2013. 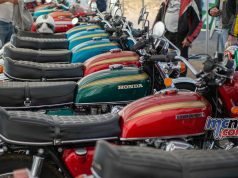 Road motorcycles were the most popular choice, with almost 39 per cent of buyers taking a road bike home. Around 34 per cent of buyers purchased an off-road bike, almost 19 per cent bought an ATV and around 8 per cent acquired a scooter. Releasing the 2013 motorcycle, ATV and scooter sales figures, Federal Chamber of Automotive Industries (FCAI) Chief Executive Tony Weber said Honda was the leading volume manufacturer for 2013 with around 22 per cent of the market. Honda sold 25,432 motorcycles, ATVs and scooters. “Honda was followed by Yamaha with almost 18 per cent of the market [20,087 sales]. 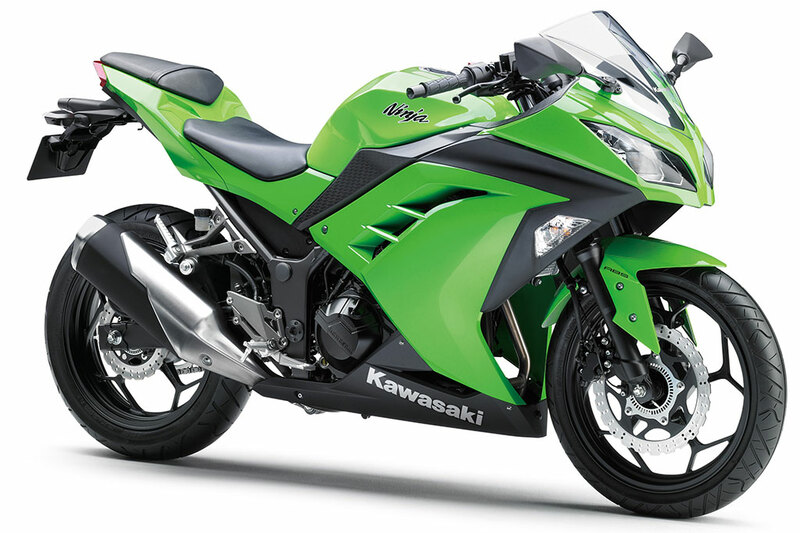 Kawasaki was third with around 10 per cent [11,683] and Suzuki was fourth with 9.5 per cent [10,818],” Mr Weber said. “Yamaha led the market for off-road motorcycles, selling more than 29 per cent [11,553] of the total 39,013 off-road bikes sold. Yamaha was followed by Honda with around 26 per cent [10,317] and KTM with around 16 per cent [6,211]. “The 39,013 off-road bike sales total is a 3 per cent increase on 2012 off-road bike sales of 37,836. “Honda was the top seller in the road bike category, selling more than 20 per cent [8,998] of the total 43,724 road bikes sold. Harley-Davidson was second with almost 19 per cent [8,217] and Kawasaki was third with around 16 per cent [6,852]. “The 43,724 road bike sales total is a slight [0.3 per cent] increase on 2012 road bike sales of 43,613. “Honda was also the leading brand in the ATV market, selling more than 23 per cent [4,938] of the total 21,072 ATVs sold. “Piaggio topped the list in the scooter market, selling almost 17 per cent [1,573] of the total 9,478 scooters sold. The 113,289 total 2013 sales figure is 2.2 per cent lower than the 2012 sales result of 115,837.